This post is sponsored by Chex. This year, our family did Thanksgiving a little differently. Due to some scheduling conflicts and family being out of town, my parents actually decided to come up to Kansas City this year to celebrate Thanksgiving with my dad’s side of the family…on Wednesday night. And I must say, I’m now a big fan of Thanksgiving Eve celebrations. We had a wonderful long dinner that evening, complete with a handful of cute toddlers buzzing all around us, who occasionally crawled up onto my lap for some super-sweet little snuggles. Then afterwards, we all went home and climbed into bed, and then (gasp!) slept in on Thanksgiving. No rising at the crack of dawn to baste the turkey, no stressful multitasking of a zillion recipes at once, no overly-stuffed food coma come late afternoon. Nope, just a super low-key day at home with my ‘rents listening to some Christmas music (I’m obsessed with this album), cooking up a whopping 10 batches of homemade Chex Mix (my holiday gifts for the year that we wrapped in little white take-out boxes), dining on my favorite 5-Ingredient White Chicken Chili for lunch, and then meeting up with Barclay’s family to end the day with a lovely evening around the fire. Traditional Thanksgiving? Not quite. But a surprisingly wonderful and relaxing Thanksgiving? Totally. Speaking of non-traditional, I would also like to point out that I brought along some tequila and lime juice to our Wednesday night celebration and mixed up some of my cranberry margaritas for the family, and everyone loved them! Which proves my theory that Mexican food belongs at every occasion in life. 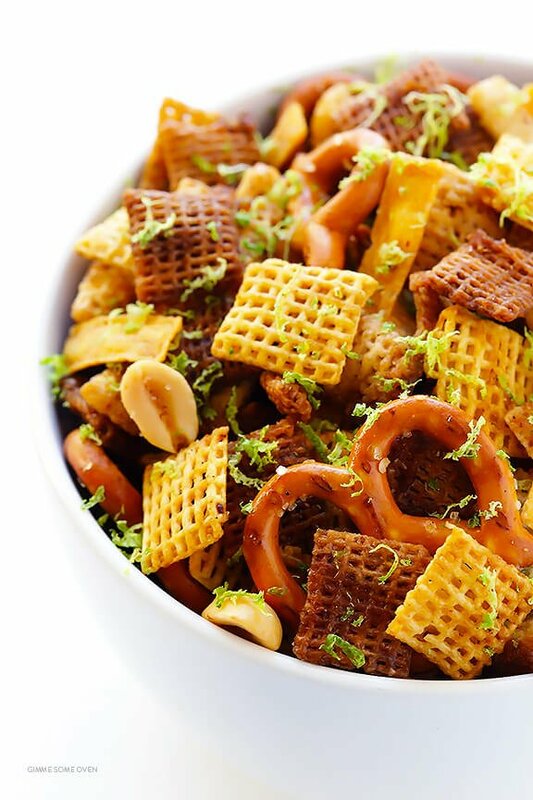 ;) But it inspired me to put a little margarita-inspired twist on my beloved Chex party mix too. And now I’m pretty convinced that tequila and lime also belong with every party mix in life. Because this stuff? Muyyyy delicioso. I assembled all of the traditional Chex Mix ingredients — 3 kinds of Chex (wheat, corn and rice), pretzels, and peanuts. And then for a little Mexi-twist, I threw in some mini tortilla chip strips (which can usually be found near the salad dressings at the grocery store, or you can just crumble up some tortilla chips). I whipped up the traditional worcestershire and seasoned salt sauce, but then added in a good glug of tequila, some freshly-squeezed lime juice, and a little chili powder for a twist. …then sprinkled it with a ton of lime zest, and VOILA! 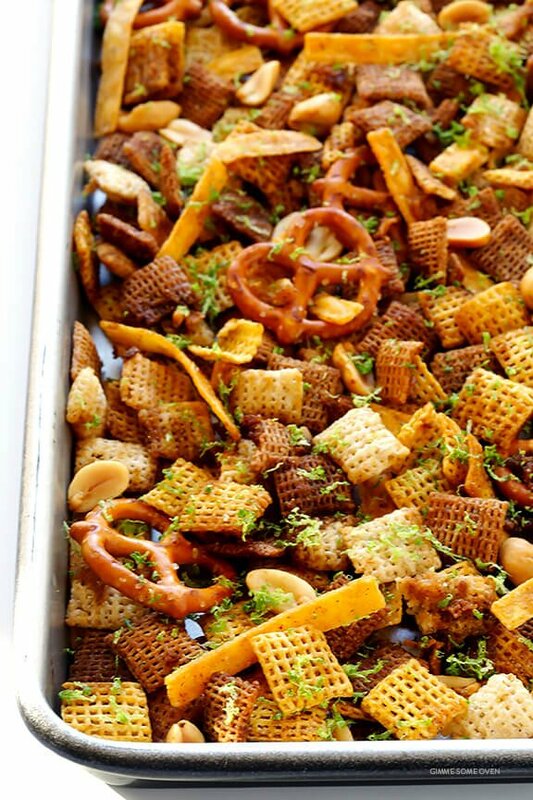 It’s everything I love about salty, tequila-lime-y margaritas…in my Chex mix! My book clubbers actually ended up being my taste-testers for this one, and they gave it an enthusiastic thumbs up. 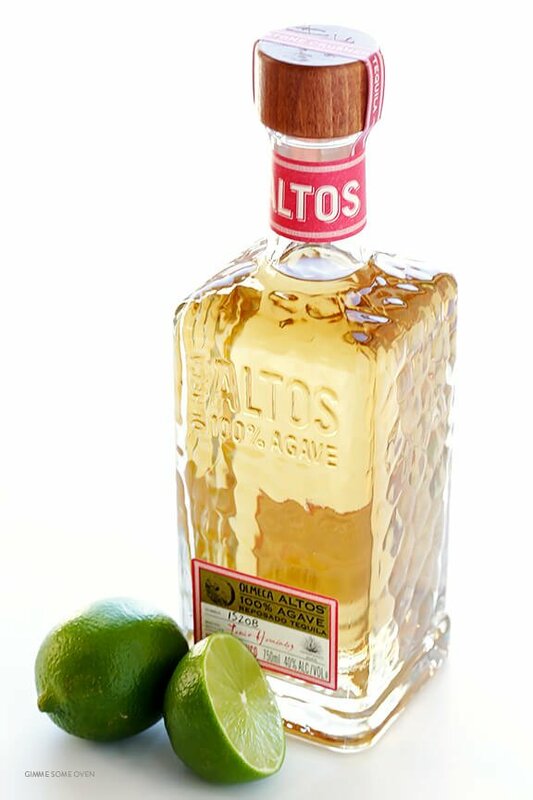 Everyone loved the kick of all of that lime zest (the more you add, the merrier for sure), the subtle undertone of the tequila, and the extra crunch of those tortilla chips. 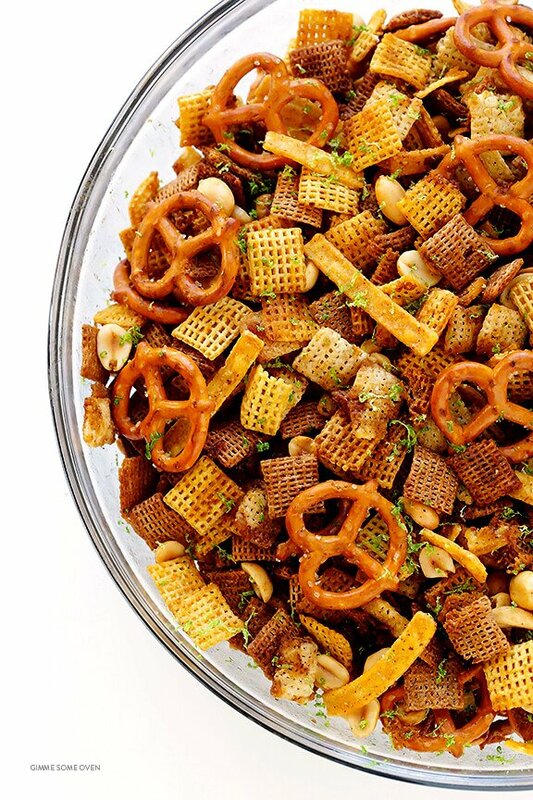 Definitely a great party food for the holidays, or anytime you feel like kicking your Chex mix up a notch. And actually on that note, if you’re looking for another fun holiday party idea, this recipe fits in perfectly with the “Mistletoe and Margaritas” theme that I cooked up with my friends Alie & Georgia and Courtney (of Pizzazzerie). 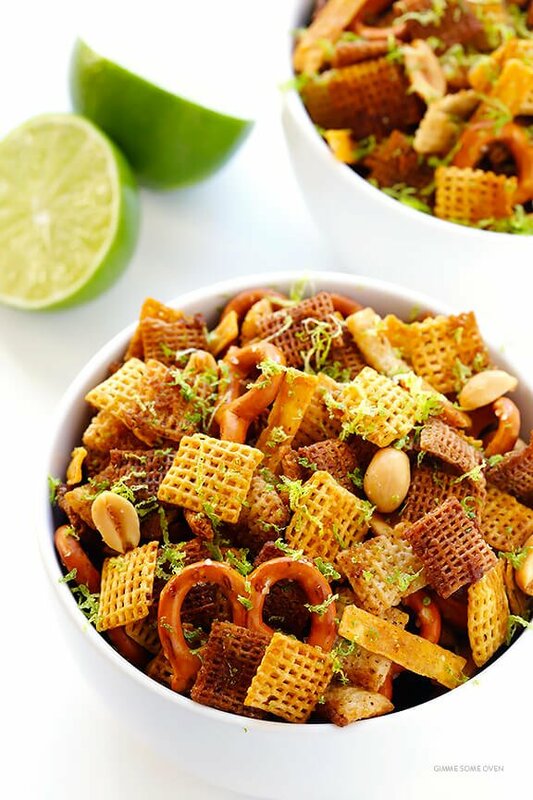 You can read all about it here, but with Mistletoe Margaritas, DIY fiesta decor, and this Tequila Lime Chex Mix involved, I’m pretty sure it would be a very merry party indeed. So cheers to mixing things up around the holidays, and coming up with some tasty new discoveries and traditions along the way! 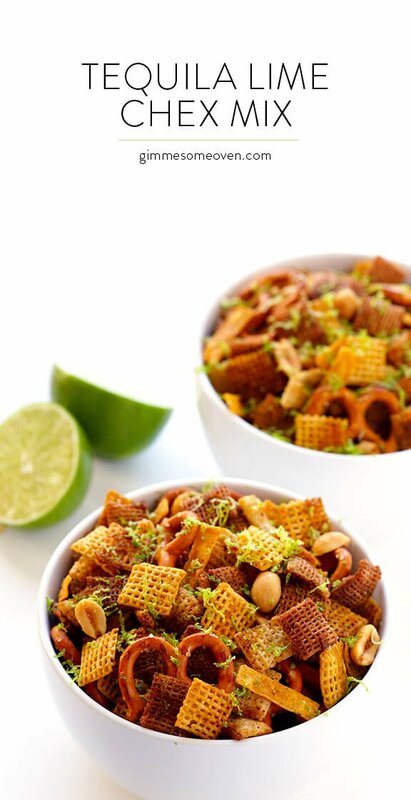 This Tequila Lime Chex Mix recipe is easy to make, it’s kicked up a notch with tequila and fresh lime juice, and it’s MUY delicioso. 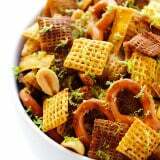 Visit Chex.com for directions on how to make this Tequila Lime Chex Mix. This post has been sponsored by Chex. 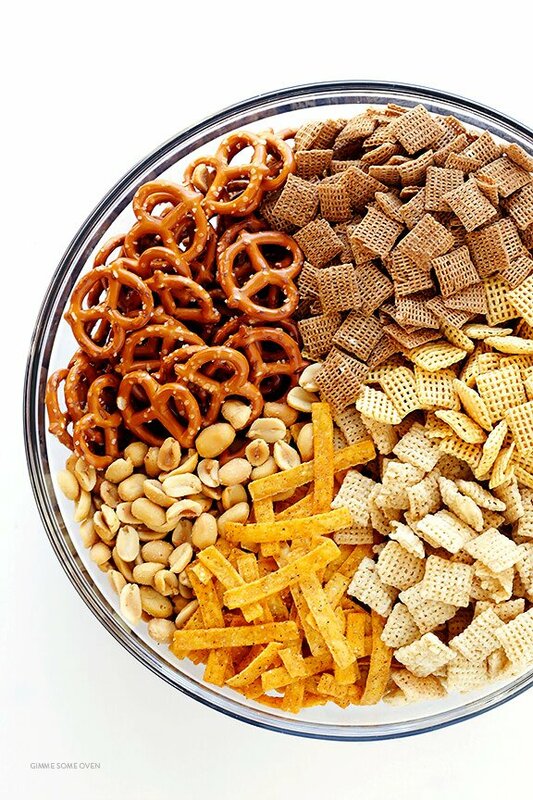 I have partnered with them to create three tasty new party mix recipes this season, and all opinions are my own as always. Thanks for continuing to support the brand who help make this site possible!